Prince Harry will be marrying the love of his life, former 'Suits' actress Meghan Markle, on May 19 at Windsor Castle in Berkshire, England. Eyes around the world will be glued to their television screens on May 19 as Meghan Markle walks down the aisle at St. George's Chapel in Windsor Castle to wed the youngest son of Prince Charles and the late Princess Diana, Prince Harry. However, there are some royals enthusiasts who will try to get a closer look at the wedding ceremony by traveling all the way to Windsor, in the county of Berkshire, England, for a glimpse of the royal couple. If you are one of those fans who is looking for a way to see the royal couple in person after their nuptials, follow these tips for a hassle-free trip to Windsor. 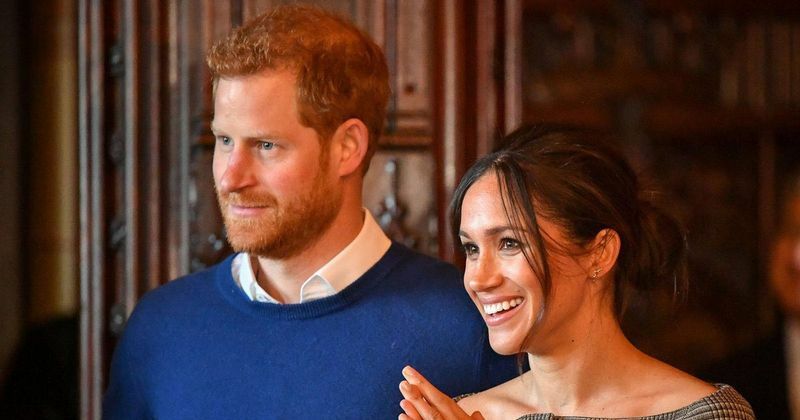 Royal watchers would best get their flight tickets as soon as possible in order to avoid the mad rush for tickets to London that is expected to occur as the wedding nears. The cheapest flights to London at the moment are to the Gatwick and Stansted airports, which are, admittedly, much further away from Windsor Castle than Heathrow airport, which is a mere 16 km by road. However, if you are trying to save as much as possible on airfare, then a round trip from New York's JFK airport to Stansted airport (75 km away from Windsor Castle) on May 17 and back again on May 21 with one stop costs a meager 380 dollars via WOW Air as of April 18, according to Google flights. The other cheapest nonstop option available on the same dates is to Gatwick airport (48 km away from Windsor Castle) via Norwegian Air for 480 dollars. The website Cool Places lists a number of places to stay near Windsor Castle that varies according to your budget. For those seeking a more luxurious stay, the fancy hotels that face the castle and line the river are recommended as are the country houses with swathes of private land that are frequented by well-to-do patrons. For those seeking to minimize their spending, B&Bs on St. Leonard's Road and Alma Road are recommended. In case the lodging options near Windsor Castle become exceedingly expensive as the wedding day approaches, more reasonable options in London can be explored, such as the Hotel Café Royal, which is offering its guests wedding packages. You could also attempt couch surfing if you're brave enough. Booking.com lists more options that are ranked according to customer reviews if you want a more comprehensive list. The wedding procession will be leaving Windsor Castle and heading through the town center and along the Long Walk. The town administration is preparing in advance for the well-wishers who will flock to see the newlywed royals, by decorating the town and setting up giant screens along the procession route. Councillor Phillip Bicknell was quoted as saying, "Visitors are welcome to arrive early to get a good space in the town center or on the Long Walk but due to the large number of people expected we ask people not to bring tents, though folding chairs and some form of cover will be allowed." He also said, "Our main advice for anyone wishing to join us in Windsor for the royal wedding is to plan ahead." While you may be planning your trip to Windsor around the royal wedding, make sure that you take into account all the historical places and sights to visit so that you make the most of your trip. The town has quite a lot to offer to visitors, taking into account the very obvious Windsor Castle itself, which happens to be the oldest and largest occupied castle in the world. The Windsor Great Park has 4800 acres sprawling with natural beauty. You could take a boat ride on the River Thames or traverse it via ferry for a glimpse of the castle festivities. The LEGOLAND amusement park is 15 minutes away from the castle by car and worth a visit. Other places you could visit include Dorney Court, the Savill Garden, and the neighboring town of Eton.